Permission is granted to use these images/animations/sounds in news stories/blog postings concerning the LMFDB. A Maass form, one of the 20 different types of objects in the LMFDB. The zeros of 10,000 different L-functions. 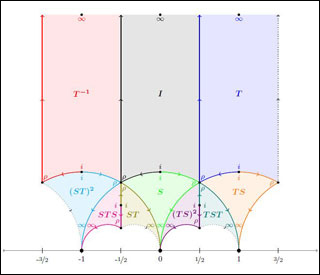 The curved white regions (called “sand dunes” by Michael Rubinstein, who discovered them) come from universal properties of the zeros of L-functions. 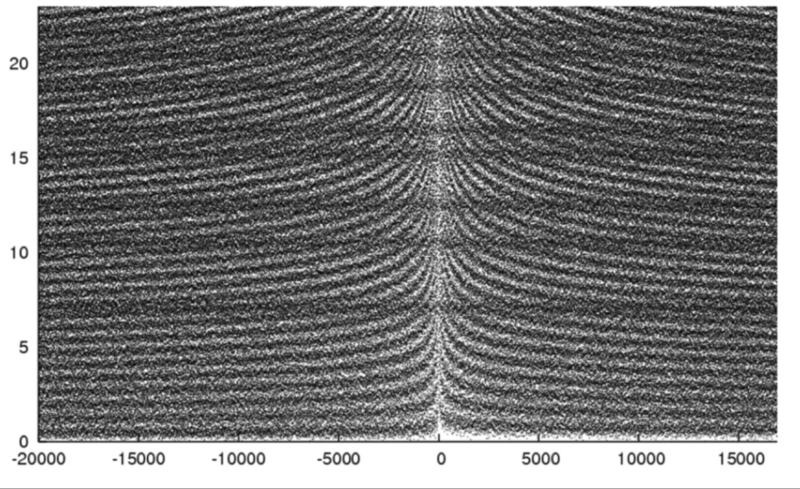 The darker horizontal bands are the shadows of zeros of the Riemann zeta function. 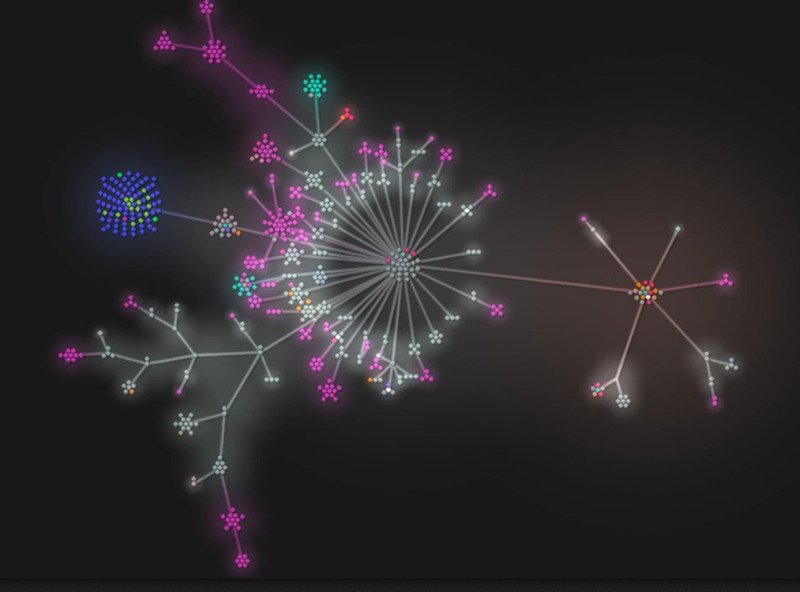 The current state of the LMFDB source code. 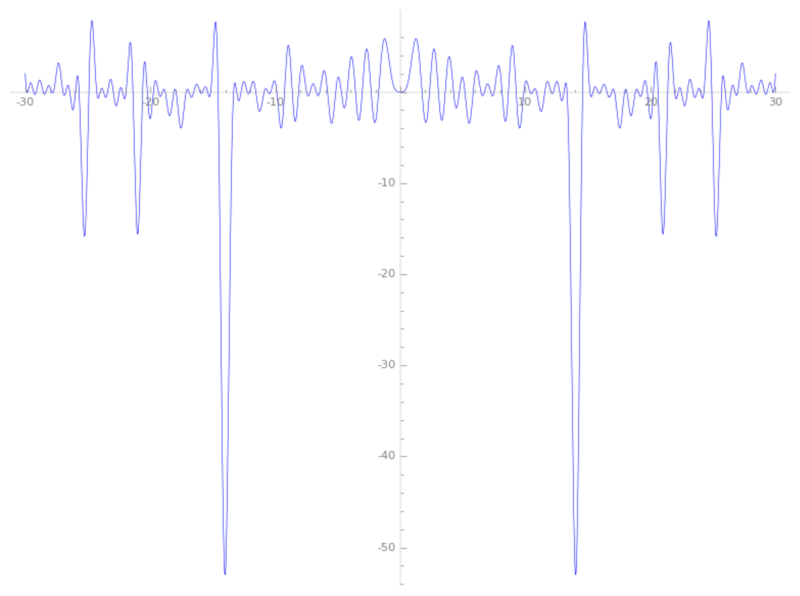 The Riemann-Hardy Z-function from 10 to 20,000, interpreted as a sound wave. MP3 file courtesy of David W. Farmer. Duration: 20 seconds. The Z-function of the first rank 4 elliptic curve. The “fangs” are due to the influence of the zeros of the Riemann zeta function. The triple correlation of the zeros of the Riemann zeta function. 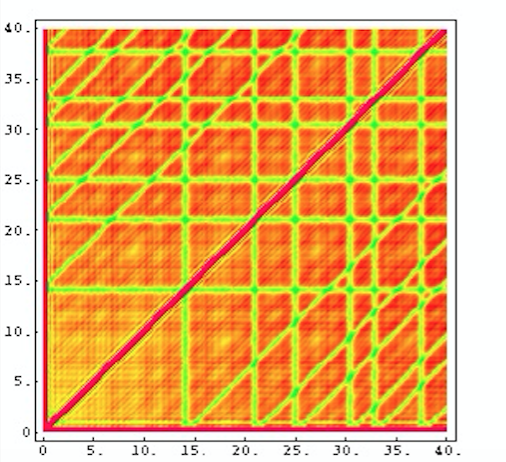 The stripes are due to the influence of the first few zeros of the Riemann zeta function on the later zeros. Image courtesy of Nina Snaith. Action of the modular group on the upper half plane. Additional pictures available on Alina Bucur’s web page.